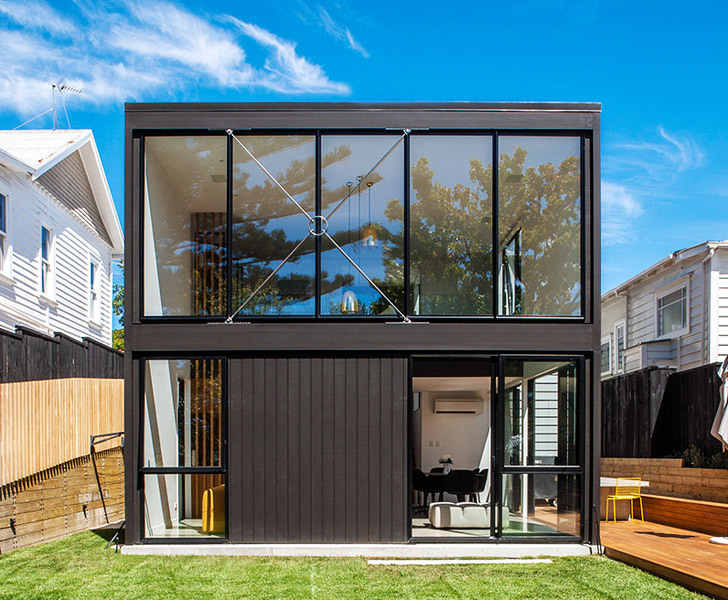 BOX Living recently renovated an old-fashioned turn-of-the-century building in New Zealand into a modern family home complete with a cool box-shaped addition. The architects first restored the Sherwood House to its original state by removing previous alterations. 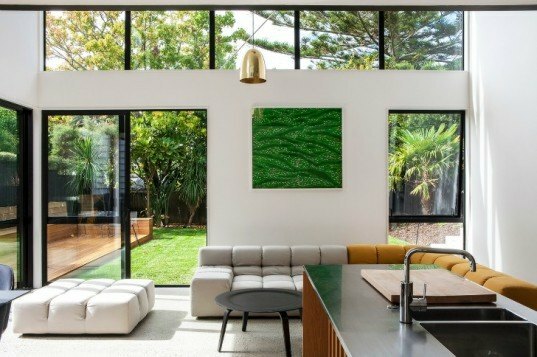 Then they set about constructing a new extension that contrasts with the old home and provides additional space for the entire family. BOX Living carefully restored the Sherwood House’s raised ceiling, fenestration, and skirting to turn the home back into the cottage it once was. The team then set to work constructing a new addition to the house without encroaching too much on the backyard. The contemporary extension features a mezzanine within a room with high ceilings that connect to the cottage via a glazed stairwell. The two story project gives the home a fresh new space surrounded by landscaped outdoor areas. The living room opens out onto a deck that runs around the building and into the garden. This outdoor addition provides additional living space that can be enjoyed by the home’s residents. BOX Living carefully restored the Sherwood House's raised ceiling, fenestration, and skirting to turn the home back into the cottage it once was. The team then set to work constructing a new addition to the house without encroaching too much on the backyard. The contemporary extension features a mezzanine within a room with high ceilings that connect to the cottage via a glazed stairwell. The two story project gives the home a fresh new space surrounded by landscaped outdoor areas. The living room opens out onto a deck that runs around the building and into the garden. This outdoor addition provides additional living space that can be enjoyed by the home's residents. BOX Living carefully restored the Sherwood House's raised ceiling, fenestration, and skirting to turn the home back into the cottage it once was. The team then set to work constructing a new addition to the house without encroaching too much on the backyard. The contemporary extension features a mezzanine within a room with high ceilings that connect to the cottage via a glazed stairwell. The two story project gives the home a fresh new space surrounded by landscaped outdoor areas.